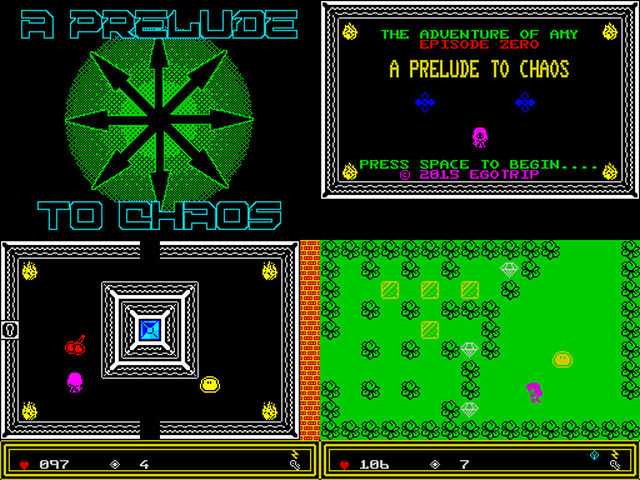 Egotrip, developer of the previous ZX Spectrum title 'Ice Slider Z' has now moved onto the next homebrew release as an adventure game called 'The Adventure of Amy: Episode Zero A Prelude to Chaos'. Although only a prototype to the full release with a lack of bosses, you need to collect 30 energy jewels scattered around the map. There are various items and obstacles to help and hinder your progress. So download, enjoy the 8bit graphics and look forward to a full release.